Most famous yacht cruise to Siridao beach. It is situated near zuari estuary, a few kilometers from Panjim. It is a rocky and sandy beach, which is popular for its mysterious caves. 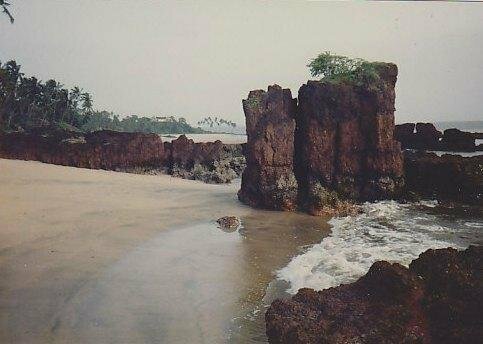 Siridao Beach in Goa is a shell collector's paradise. One can come across a wide variety of oysters and pearl shells at the beach. It is best choice for beach yacht cruise. The Chapel of Jesus of Nazareth is situated in the Siridao beach of Goa.Thousands of the devoteed come to the chapel tp pay reverence to Lord Jesus. The entrance of the Siridao village, near the Siridao beach, bears 3 stone statues playing musical instruments. Siridao village also houses the Holy soul’s chapel.